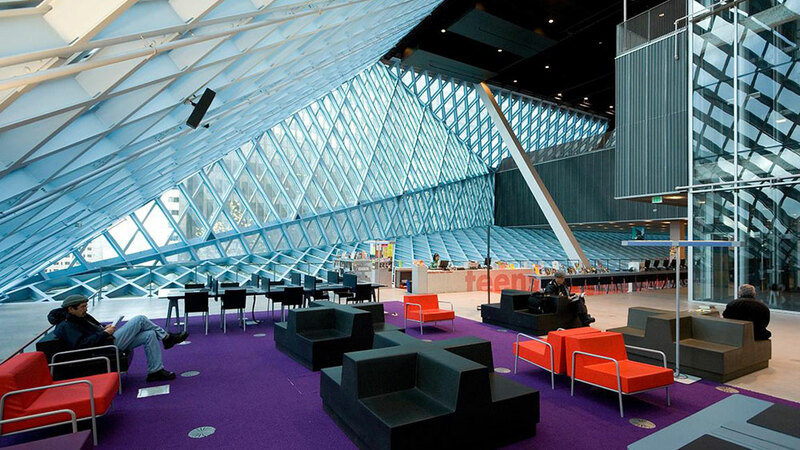 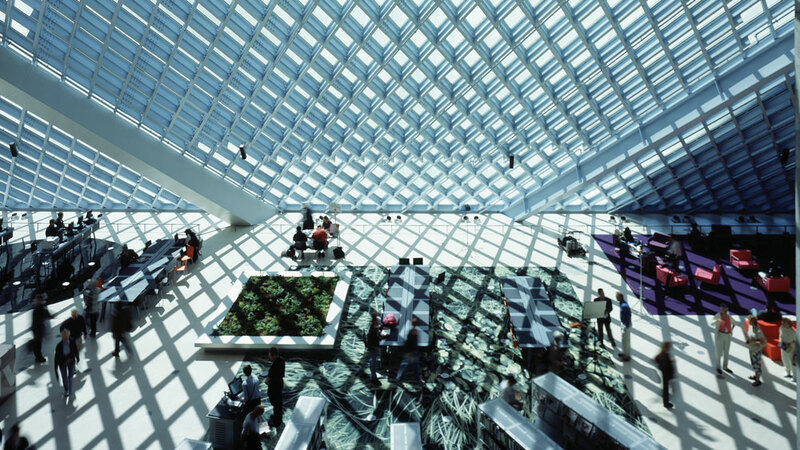 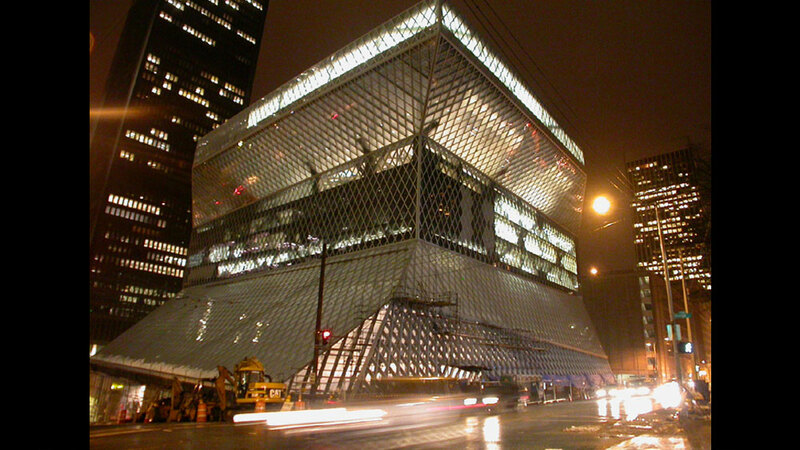 Seattle Library comprises three rectangular boxes, with a void in between acting as public space. 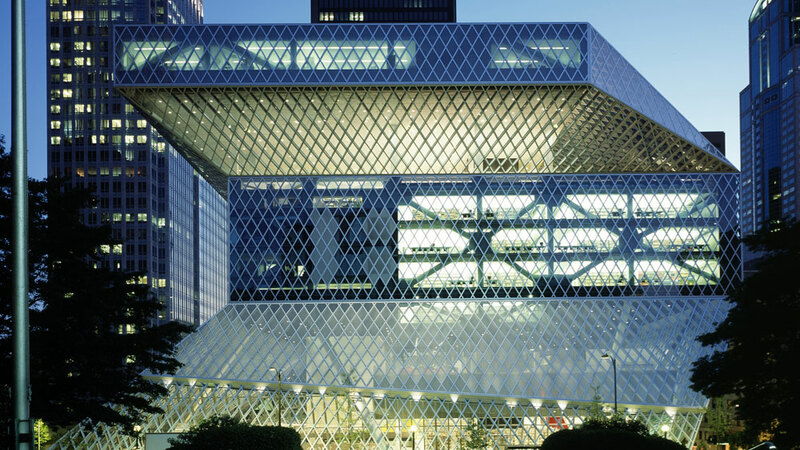 As the forms above ground slide over each other in the horizontal plane, unconventional framing is needed. 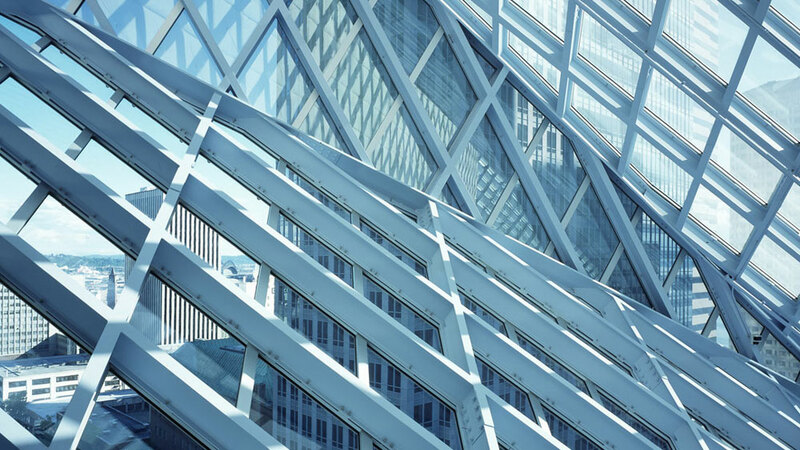 To resist the earthquakes generated in the area, the zigzag exterior provides excellent bracing planes between the boxes. 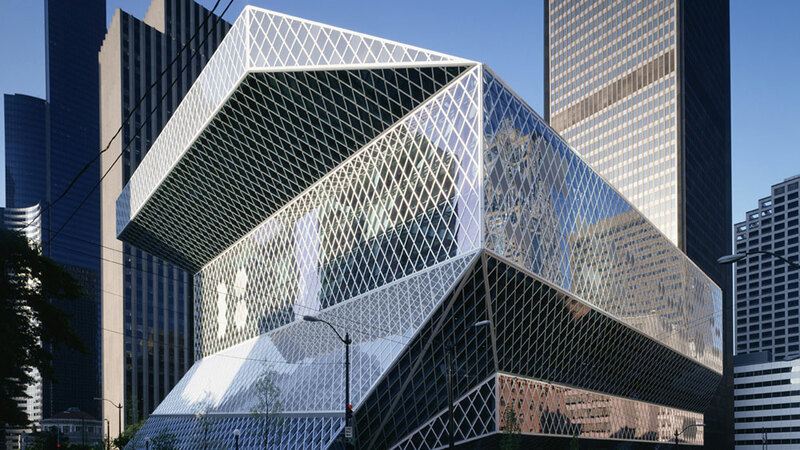 Where each box is a mini building, architecture and structure co-exist and bounce off each other in this project, with external cascade and internal drift – the void corresponding as the shaping factor.